There was a time at the height of the financial crisis that hot the world several years ago, that Barclays were seen to be something of a saving grace for the industry as they were ready to step in and buy up failing banks at the time, however this is something they never ended up doing hence we saw one major US bank in particular going to the wall. If you are looking for a few banks to place Binary Options trades on then allow us to present to you a few strengths and weaknesses relating to Barclays which may help you make up your mind on which side of the trade to take. 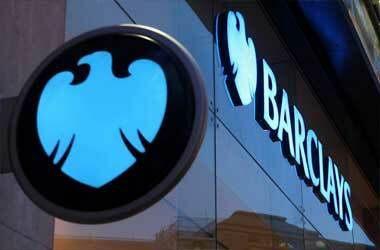 Increase in Customer Protection – With the limits in which customer bank account balances have been underwritten and issued by the UK Government in particular their UK facing divisions is not being too badly affected by the negative news stories on their past wrong doings, as customers know no matter what happens their money will be ultimately safe when they have it is a Barclays bank account. Online and Mobile Banking – Barclays have invested heavily in ensuring their online and mobile banking customers have a safe and very reliable product and as such they have gained quite a large number of new customers over the last few years and their customers are remaining loyal to them, which means they are not required to offer a lot of the other incentives which other banks have started to do in an attempt to get a steady stream of new customers signing up to their banks. PPI Compensation – The PPI compensation bill for all UK banks has got so large it is amazing, and anyone can see that in years gone by a fair amount of their annual profit was through selling those doomed insurance products. There seems to be no limit as to how much banks are paying out in PPI refines and compensation and as such this is going to constantly be a drain on Barclays possibly for a couple of years yet at least! Currency Trading Fines – Having been caught and charged and ultimately being fined for rigging the currency trading markets in previous years the fine they have been issued with is enormous, and those fines do always have an effect on trader confidence and not only the share price of Barclays. The short term outlook for banks such as Barclays does not look too good, for they are still paying off fines and compensation for past wrong doings, and as they do appear to have to keep on setting aside vast sums of money for those fines and compensation bills that is of course going to have a massive and very dramatic effect on their bottom line. With this in mind we expect the share price to drop and level out for a while then possibly drop a little more before slowly starting to recover previous lost ground.